As the temperatures continue to dip, we are having so much fun stocking up on cozy coats to keep Us warm and stylish during the fall and winter months. From leather jackets, shearling coats, faux leather and more, every fashionista should have a stylish piece on standby. At Shop With Us, we are all about browsing the racks for fashionable finds and this fit and flare design is our favorite way to make a statement this season. 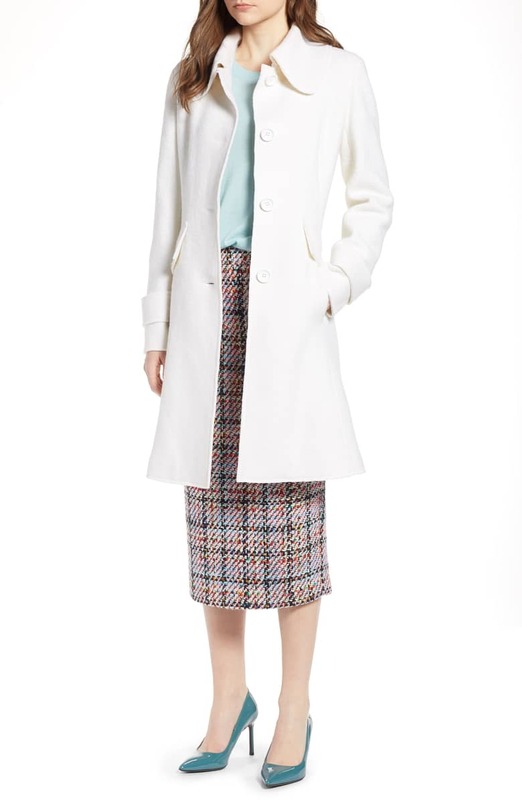 See It: Grab the Halogen Boiled Wool Blend Fit & Flare Coat at Nordstrom for 50 percent off the original price of $239, now $119.49. 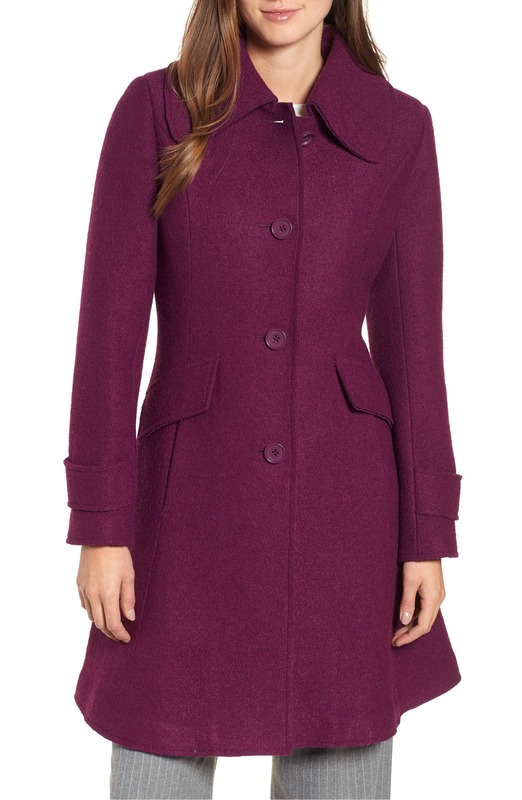 The Halogen Boiled Wool Blend Fit & Flare Coat is a chic number. Playful and shapely, its sweetheart seams work to accentuate your figure for a feminine finish. Designed with a comfy wool blend, this piece of outerwear will help keep you nice and toasty. Complete with a spread collar and front button closure, this construction combines modern detailing with clean styling. Even better, its hidden pockets will keep your small essentials close. Crafted in an ethereal ivory hue, this coat is the epitome of sophistication. You can also scoop it up in a deep berry shade or a blush pink tone. An undeniable pick for the chilly weather, this essential will pair well with virtually anything in our closet. Hitting the Nordstrom racks at 50 percent off, you can bet that we are adding each hue to our arsenal. 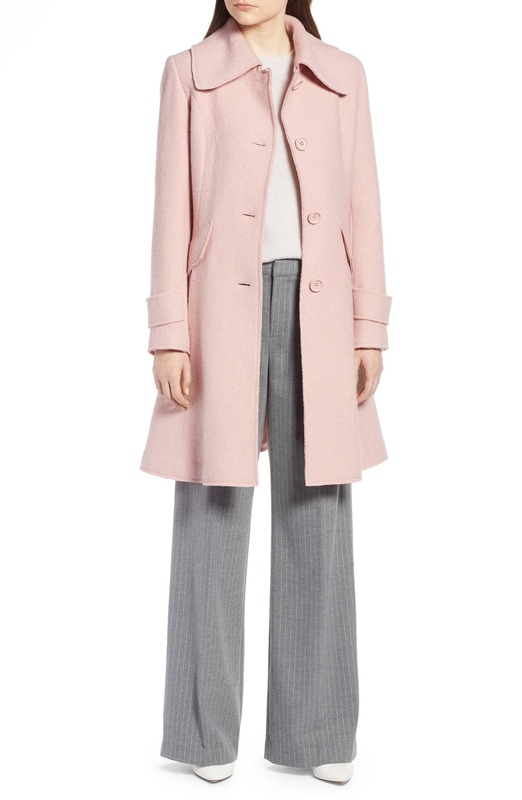 We plan on pairing this feminine coat with trousers, a blouse, pumps and a tote bag for a work day slay. We can even give it a sassy spin with a leather skirt, bodysuit, clutch, strappy heels and a bold lip for a romantic night on the town. For a casual ensemble, we’re teaming the coat with skinny jeans, a button-down top, booties and a cross-body bag. With sizes extra small to extra large available in regular and petite cuts, now is the perfect time to grab this coat at an amazing sale price!